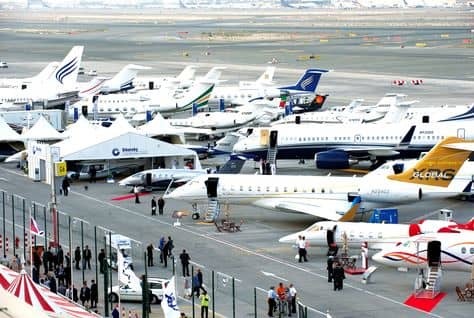 US private and business aviation companies can benefit from access to the growing Middle East and North Africa market at the Middle East Business Aviation (MEBA) show, the sixth edition of the largest business aviation event in the region, from December 8-10 at Dubai World Central, UAE. In a culture where face-to-face meetings mean everything; leading companies including Boeing Business Jets, Gulfstream, Bell Helicopter and Pratt & Whitney are attending the December event, being held in the purpose-built venue at Dubai World Central, the new aviation city already being dubbed a global aviation industry hub. This year's industry must-attend event will see 50 aircraft on static display and more than 400 exhibitors, including some of the world's most influential business aviation players and more than 8,000 visitors are expected. There is also a designated US Pavilion, at the heart of the MEBA show, where smaller firms can take advantage of special rates, travel assistance and marketing tools provided by the US pavilion organiser, Kallman Worldwide. The U.S. Pavilion at MEBA 2014 has nearly doubled in size since the last edition with a wide range of sectors represented. American exhibitors - over 75% of whom are new to the show - will display a wide variety of offerings for the business jet industry. The U.S. Pavilion will showcase everything from catering services to in-seat massage technology and ground support equipment in almost 350 sqm of dedicated space on the show floor. These exhibitors are in good company, with a host of US big names already marking their stand space, such as Avpro, Textron Aviation (Beechcraft), JSSI and Rockwell Collins. The region is a growing market for U.S. aviation companies, with Boeing Business Jets publicly acknowledging that the Middle East accounts for 30 per cent of its business jet sales. Ali Al Naqbi, Founding Chairman of the Middle East & North Africa Business Aviation Association (MEBAA), said: “Companies in the know understand this region has one of the world's fastest growing private and business aviation sectors. She continued, “With hospitality a key facet of any business transaction in the Middle East, corporate hospitality packages in our pavilion are also still available, representing a chance to sit with both regional and global movers and shakers and get down to business in an ideal environment for networking”. This exclusive, relaxed, fully-catered area also offers uninterrupted views of the static display.